In a city that has been influenced by many different far-off cultures over time, there is still a village feel in each historic neighborhood. Stroll through the Pombaline grid of streets in the Baixa district that opens on to the Tagus in Praça do Comércio, then follow the river to discover some of the city’s most beautiful parts: the monumental area of Belém with its World Heritage monuments, the mediaeval quarters and the latest contemporary leisure spaces, such as the Parque das Nações. 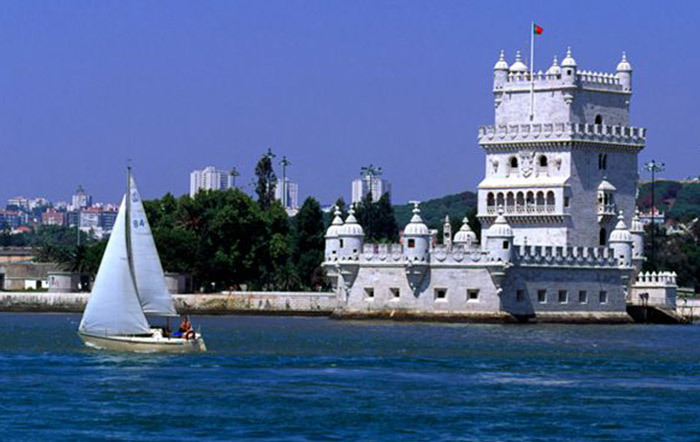 If you continue to the mouth of the river, you’ll understand why we say that Lisbon is the centre of a vast resort. Along the coastal road you’ll find beaches and beach resorts that combine villas and hotels from the beginning of the 20th century with marinas, terraces and excellent golf courses. Further along the coast you’ll come across world-renowned surfing beaches, but also the palaces scattered across the cultural landscape of Sintra, a World Heritage Site. The wide variety of landscapes and heritage is always close by, whether to the north or south of the capital. With beaches, natural parks, cultural routes and accommodation for all tastes, it is hard to escape the Lisbon region on a visit to Portugal. Fado is another expression of what it is to be Portuguese that has also been awarded World Heritage status. You can hear it at night in a fado house or in a traditional neighborhood. But go, as well, to the lively bars and nightclubs, to find other types of music. From reggae to African music, new wave, indie or electronic, there’s a great diversity of sounds and environments, but all are good excuses to have a drink and dance the night away.